The Croatian delegation will be back at Paris in 2019, even stronger in number, with an opportunity to present itself on a traveling DJ truck in front of the 300 000 visitors of the 21st Techno Parade. The project of this first international representation of the Croatian electronic music scene as a whole at the world stage of Paris surpassed our expectations. 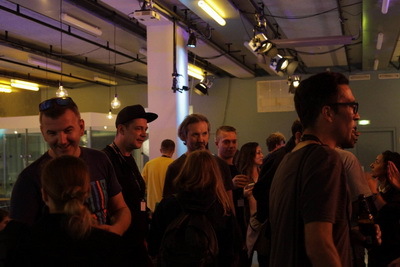 The "Ambassador" award, created two years ago, managed to pull of an unprecedented task - show electronic music as a worthwhile and valued addition of musical output in the eyes of local institutions, allowing it to enter the cultural spectrum of Republic of Croatia, while gathering, uniting and intertwining all electronic music projects of the scene. It also distributed awards to its exceptional actors, programs and initiatives. One of the founding goals when establishing the “Ambassador” awards is intrinsically connected to its name - to present the Croatian electronic scene at international conferences and open up new markets, as well as allowing the local artist to participate in the cultural exchange programs. The Association "Klubska kultura (Club Culture)", which stands as the backbone of the project, took 17 delegates from the very heart of our local scene to Paris. 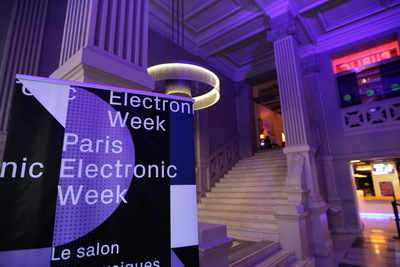 This all came to be due to the very kind and much appreciated invite from the “Technopol” association –organization in charge of Techno Parade for the past 20 years and Paris Electronic Week alike, and also one of the largest French institutions protecting the rights of DJs and electronic artists. In our great 17 key figures visiting Paris there were festival organizers, promoters, DJs, producers, label owners, marketing specialists and reporters, amongst whom most familiar to the global ear might be Petar Dundov, Vedran Meniga, Pero Brčić, Haris Čustović i Sergej Lugović. Festivals that were represented are ones like Outlook, Dimensions and Seasplash at Fort Punta Christo in Pula, to Moondance in Kamerlengo Fortress in Trogir, Nox Festival in ex military base Minerska in Sibenik. At this most interesting Paris Electronic Week conference, Croatia presented its work on Sept. 27th at a stand filled with promotional materials of various projects bustling on the Croatian scene (T-shirts, hats, CDs, vinyl, flyers, brochures, magazines, promo remixes...) and we also took great pride in presenting our reputation for some of the best festival destinations. 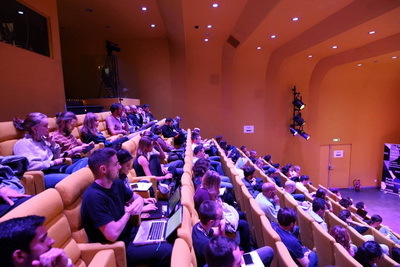 On the same day a lecture was held on Croatia as a highly desirable festival destination, delving deep into the history, while simultaneously looking at the upcoming future of electronic music market in our country. 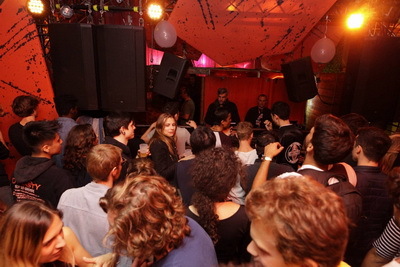 The lecture was followed by a gathering, a cocktail party and a cultural smorgasbord on a background of Croatian DJ's sound, led by our accomplished local artists - Lawrence Klein, System Divine and Yakka. The panel was live streamed in collaboration with Photostudio82, and through “Klubska Scena” (Clubbing Scene) channels, as well as RatCat association’s channels and those of Šibenik.in. 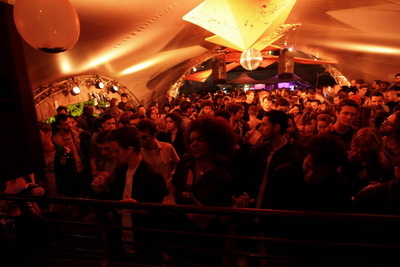 The grand finale was held in one of the most prominent and well respected underground clubs - Concrete - a boat venue with 2 floors on river Seine. On the Wood floor we had the honor of listening to our host and instigator of this project Jean-Marie Kone, followed by Croatian artists Skeptik, Sergej Snooze and Haris Čustović. This project was a highly valuable experience which consolidated the bonds and exchanges of Croatian and French scene and the presentation of Croatia as a bustling destination resulted in hearing from several investors interested in Croatia's clubbing and festival tourism niche. Plans are already on the way and will be realized in the upcoming seasons via the collaborations of investors with “Technopol” and “Club Culture” associations. “Technopol” was extremely satisfied by the collaboration and have offered our delegates a much richer and fuller presentation program for next year, with a possibility of organizing a special Croatian electronic music truck at the 21st Techno Parade, which would allow our artist to present themselves to 300 000 electronic lovers at once. The Paris presentation gained support of the director of Croatian National Tourist Board in Paris, Ms. Danijela Mihalić Đurica, who mentioned that they were receiving a great number of enquiries and have noticed a raise in visitors from the French area to the festival events. "In the last couple years we've noticed an annual growth of 5-10%. The French are very desirable guests for the largest comparative advantages we like to offer, so why not brand the clubbing and festival scene as well." - says Mihalić Đurica. Without the support of institutions such as the Croatian Tourist Association and the local tourist associations from Zagreb, Rijeka, Šibenik, Split, Makarska, Dubrovnik and Zadar County as well as Šibenik-Knin County and cities like Šibenik and Makarska, this project would have been impossible. We're also grateful and in debt to media outlets such as HRT (Croatian National Television), Slobodna Dalmacija, Jutarnji List, Novi List, Klubska Scena, Šibenik.In and many others who provided wide spread coverage and documented our journey. See you next year!